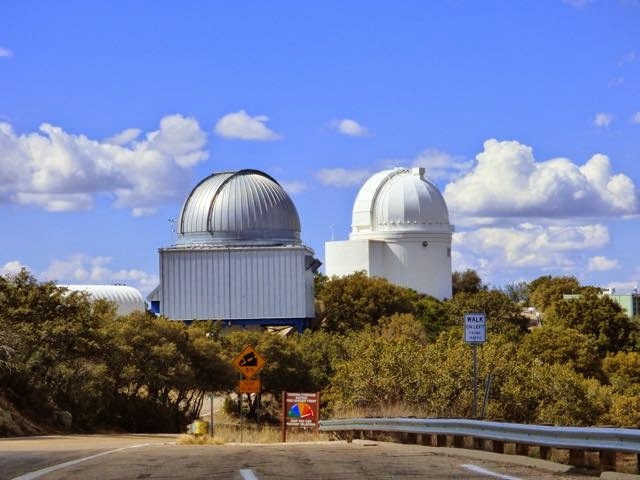 A drive up to Kitt Peak National Observatory around 56 miles from Tucson well worth the trip. After you leave Hwy 86, you travel 12 miles up to 6800 ft on a winding two lane road with views of the desert below. 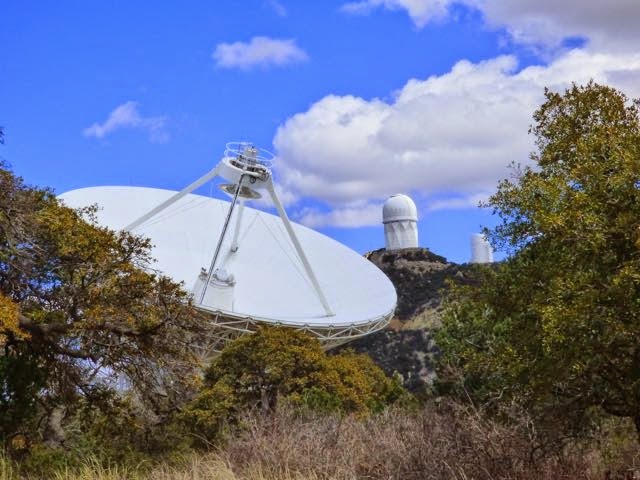 We stopped at ne picnic area a mile from the observatory next to the radio telescope. 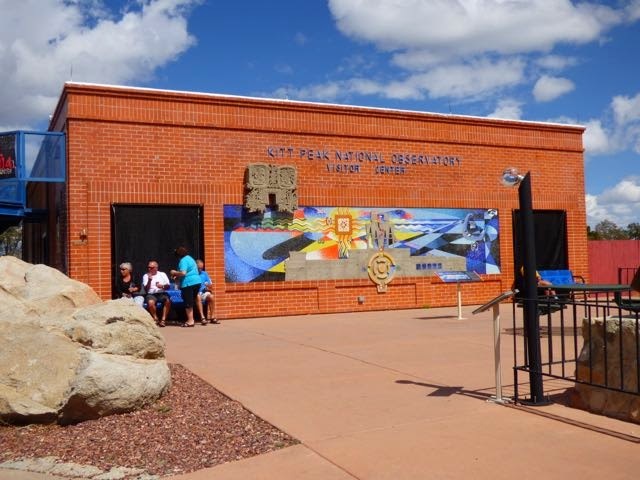 The visitor center has a well stocked gift shop and it is here that you take guided tours offered 3 times a day to theee of the telescopes. 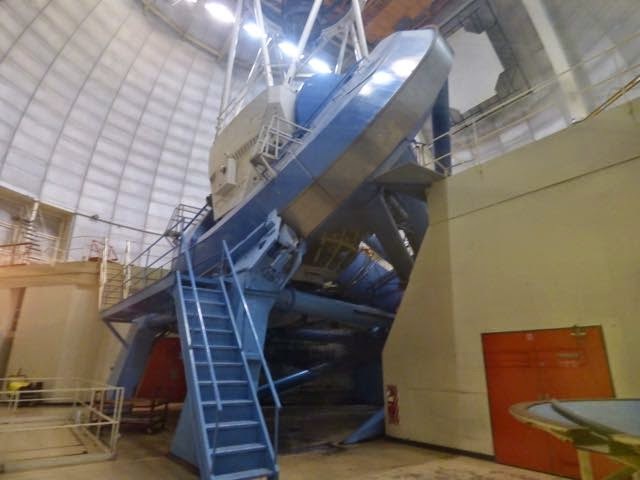 The 1000AM takes you McMath-Pierce Solar Telescope which is the world's largest solar telescope. 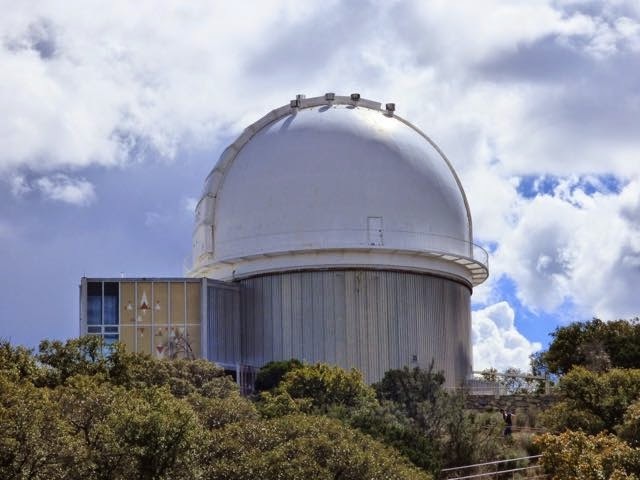 The 1130AM goes to 2.1m Telescope built in 1964 and the 130PM takes you to Mayall 4-m Telescope built in 1973 is the largest optical telescope on Kitt Peak. 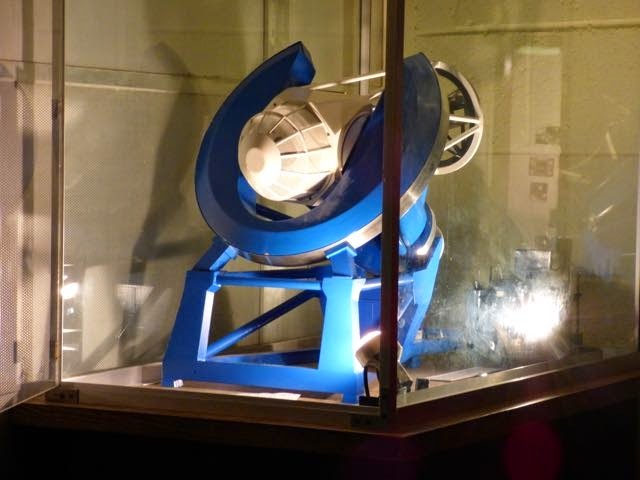 Each tour lasts around an hour and the costs for all 3 is $7.75. John took the last tour. 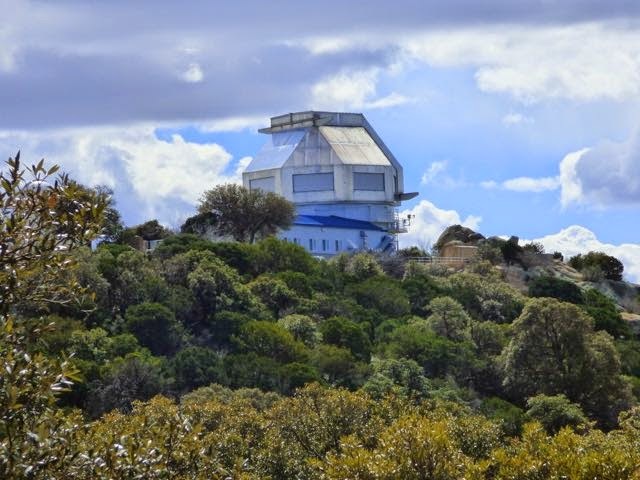 I opted because of the steep climb to venture on my own for photos and to explore the gift shop. You also do all 3 tours on your own with no cost and in less time. If you don't mind the drive up at night, you can reserve this in advance. 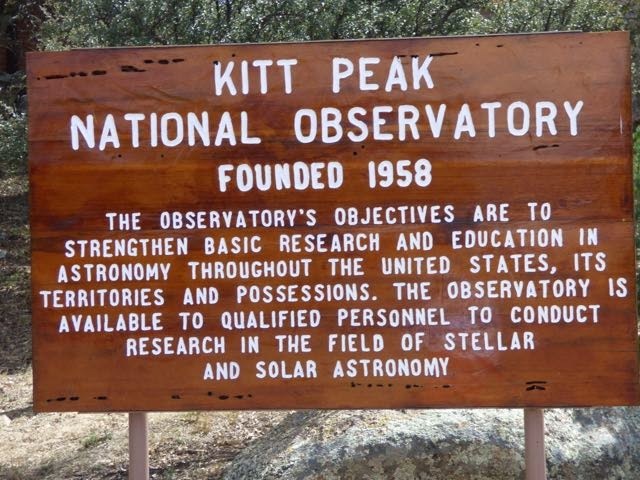 After surveying more than 150 sites, Kitt Peak was chosen for the first national astronomical observatory. 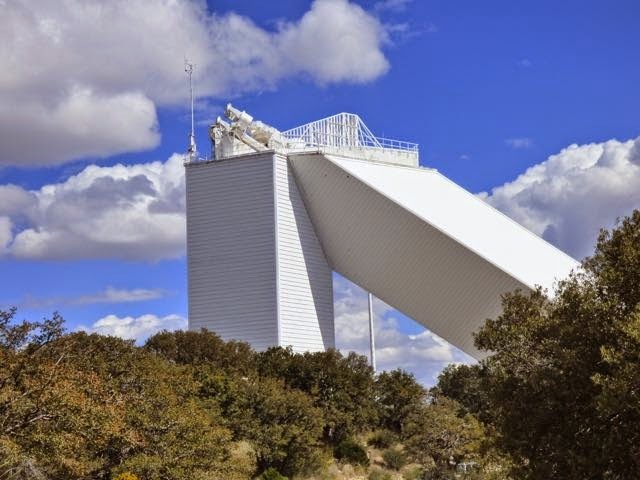 It is home to the largest collection of astronomical telescopes in the world and sits on the Tohono O'odham Nation. 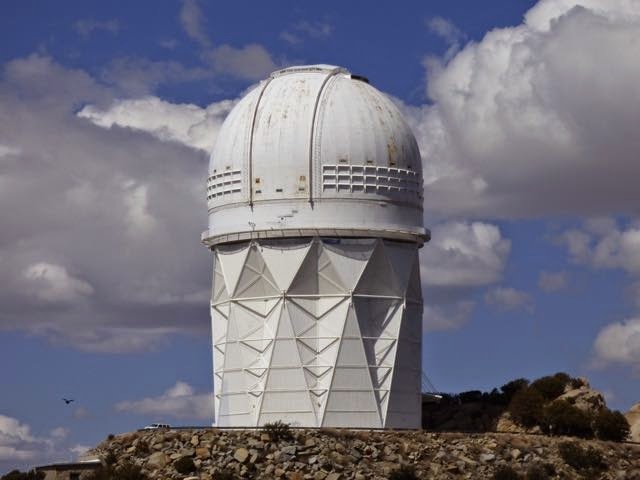 Since this mountain is sacred to the Nation, a lease was signed in 1958 for use of 200 acres under a perpetual agreement that is valid as long as scientific research are maintained. 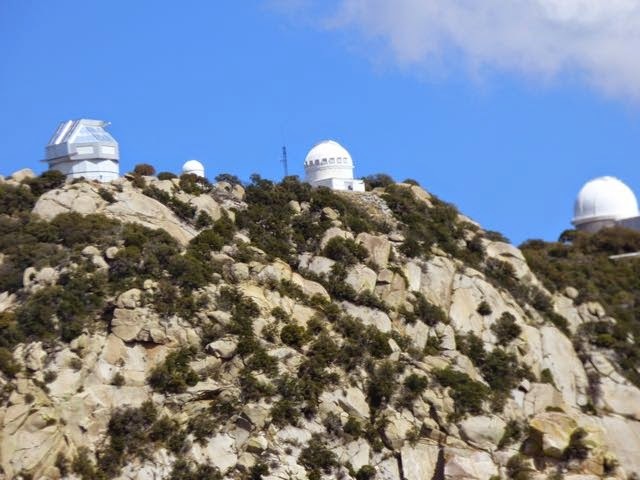 Kitt Peak has 25 optical and 2 radio telescopes. You are asked to turn off your cell phone so not to interfere with radio transmissions. A trip well worth the time and experience. Al would love that place. Need to put it on our list for next year.